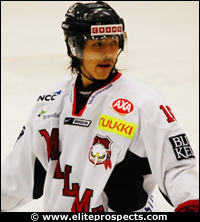 takuma « Japan, Hockey, Baseball, etc. Oji Eagles and Nippon Paper Cranes played a pair of free admission preseason games in Tomakomai, Hokkaido over the weekend. Results were 3-2 and 4-1 for an Oji sweep. Tohoku Free Blades were officially admitted into the league on 5 September. Well, this was just a rubber stamping process since the club is starting out its life on stable grounds. Blades will host their first ever official (preseason) game on 12 September against the Nikko Ice Bucks. Faceoff at 13:00 in Hachinohe, Aomori. All tickets are general admission and 1000 yen each. Ex-Seibu Prince Rabbit D Ryuichi Kawai and (probably) his younger brother and ex-Gatineau Olympique Takuma Kawai are going to be on the ice for the University of Lethbridge team’s tryouts, even though they’re both not enrolled with the university. Apparently the training camp has guys trying to crack AHL and ECHL clubs, so it’ll be interesting to see how they fare. The brothers are staying and training with ex-Seibu Ryan Fujita whose home is about a 40 minute drive from Lethbridge, Alberta. The immortal Ichiro earned his 2000th Major League hit in style with a double against the A’s. Always a showman who marks special occasions with crafty hits or big bombs more often than his usual slap and dash. The new AL team Tohoku Free Blades faced off against the bolstered Nikko Ice Bucks over the weekend for two preseason games. These two games were the Blades first official games (their games up to now had been against understrengthed squads, non-AL teams or not full 3×20 games). The word is that Steve Munn and Jon Smyth were solid for the Blades, Bin Ishioka scored both goals in game 1, Michio Hashimoto kept the team in the game despite being vastly outshot in the first game, and the team was less tense in the second game and played a more overall solid game despite the untelling scoreline. Goalies in game 1 were starters and former Buck Michio Hashimoto for the Blades and national team goalie Naoya Kikuchi for the Bucks, backup goalies played in game 2 for both teams. More images and game report here. On another note, national team defenceman and former Seibu Prince Rabbit Ryuichi Kawai and his younger brother and first Japanese player to appear in the Memorial Cup Takuma Kawai are in a small town near Lethbridge, Alberta at staying at Kiyoshi Ryan Fujita’s house and training. Not sure what they’re aim is but maybe they’re looking for some tryouts in the North American minor leagues.